Rugby. It’s not all mud, scrums and big tackles, you know? Whether it’s union, league, wheelchair, touch, tag or beach, rugby’s a great way to have fun outdoors, make friends and join the millions of people playing around the world. You don’t have to be tall and strong to get into rugby. In fact, there’s pretty much no size, shape or ability you can be that would stop you getting into rugby. With such a range of options on offer, there’s something in rugby for more or less anybody. You’ll need to have some clothes you’re comfortable running around in. And if your session is outdoors, you should probably prepare for them to get wet too (this is London, after all). 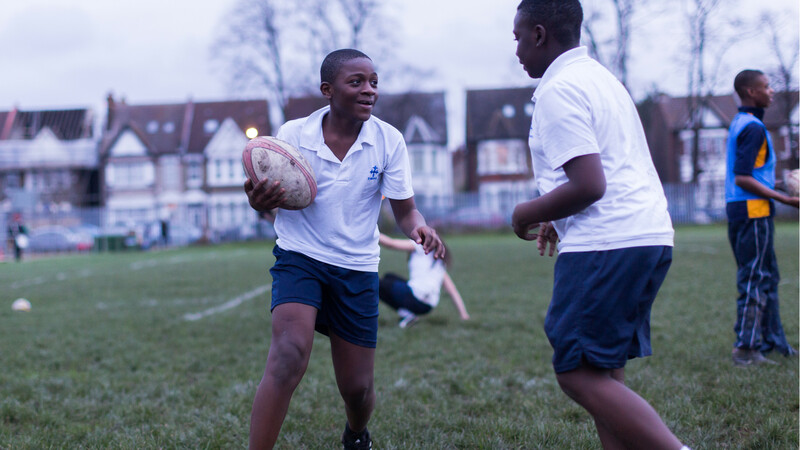 We’d definitely recommend you chat to the person responsible for the session before you join up – with rugby, it’s really important that you find a version that’s going to be suitable for the type of sport you want to do. England Rugby is a good place to start and try the Rugby Football Union site too.